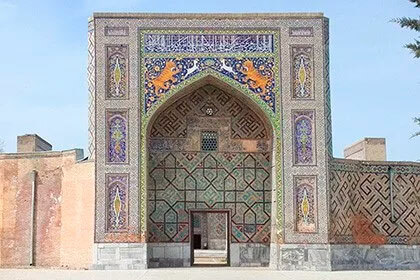 Central Asia is famous for its many centuries of history. 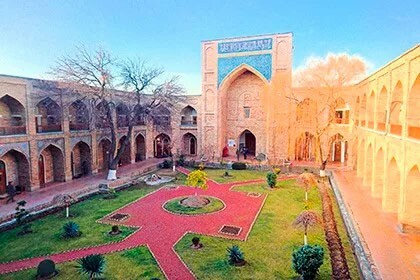 Hundreds of years old gardens blossomed in the agricultural plains of Central Asia, for hundreds of years people lived here and worked, whose heroic deeds are told by written sources and legends. Reading books, traveling and visiting museums, we learn more about the expanses of the earth, about its sights and much more than how rich this land is. She holds us firmly on her mighty shoulders and therefore we confidently look to the future. 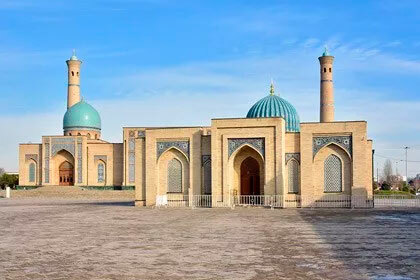 You will have the opportunity to visit 4 countries of Central Asia Uzbekistan, Tajikistan, Kyrgyzstan, Kazakhstan. 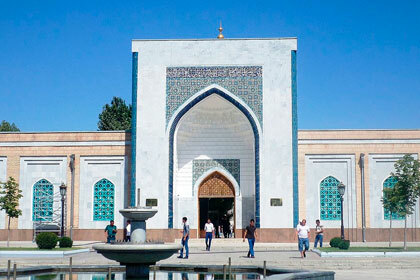 End of tour: Tashkent	 Tour category: Historical tours, Gastronomic, Sightseeing tours. 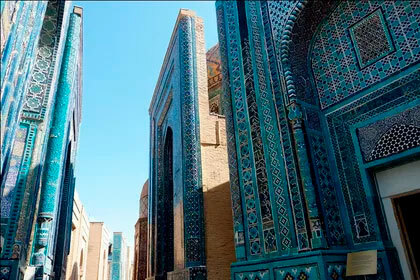 Duration: 11 days / 10 nights Сities: Tashkent, Samarkand, Bukhara. 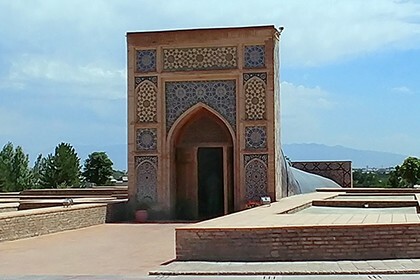 visit to mausoleum of Khoja Ahrar Valiy. Departure by a comfortable bus to Bukhara. Stop to visit mausoleum of Imam Al-Bukhari, the great scholar of the Islamic world. On the way visit the XI century caravanserai and Sardoba, an ancient reservoir of caravan routes. Transfer to Tashkent International Airport for the morning flight to Dushanbe. Arrival at the airport in Dushanbe. Meeting at the airport and the beginning of the excursion. 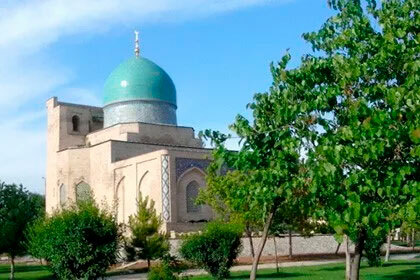 Visit to the mosque of the National Museum of Tajikistan, the Museum of National Musical Instruments of Gurminj, the monument of Ismail Samani, the city garden "Gods of Rudaki". Transfer to Dushanbe airport for flight to Bishkek. Meeting at the airport in Bishkek and transfer to the hotel. After breakfast, a trip to "Ala-Archa" National Park is known for its delightful mountain scenery and picturesque trails. The Ala-Archa river of the same name passes through a high mountain canyon, surrounded by mountain peaks with steep wooded slopes. Free time in the national park. In the afternoon, return to Bishkek. 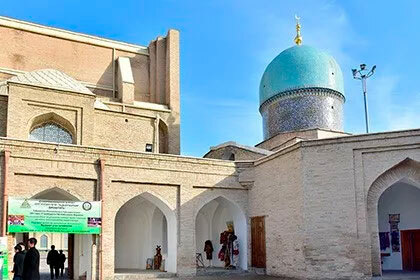 Visit to the Kyrgyz State Historical Museum, Oak Park, Ala-Too Square, Monument to Manas. You will see the building of the Philharmonic, which is a vivid example of Soviet architecture. Transfer to Bishkek International Airport for a day flight to Astana. Guide and driver will be waiting in the lobby of the hotel to begin the tour of Astana. On this day you will visit the Old Town (Constitution Square, Congress Hall). Further crossing the river Ishim and continuing the excursion on the left bank of the river. Visit the monument "Astana-Baiterek", from the observation deck where you can enjoy the breathtaking panoramic view of the city. Then walk along the Water-Green Boulevard and Round Square. 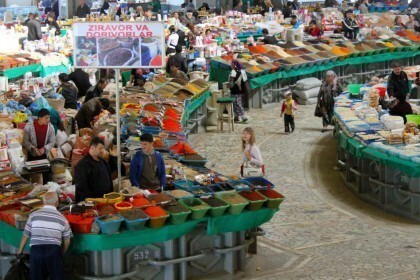 At the end of the tour, visit the Khan-Shatyr shopping and entertainment complex. Transfer to the station for a train to Almata (965 km). Meeting at the station and the beginning of the tour around Almata, the southern capital of Kazakhstan. The excursion to Almata begins with a visit to the Park named after 28 Panfilov guardsmen, on the territory of which the Zenkov Cathedral is the oldest building of the city. Then visit the Central State Museum. Also during the tour visit Independence Square with the three main symbols of Kazakhstan and the obelisk dedicated to Independence. 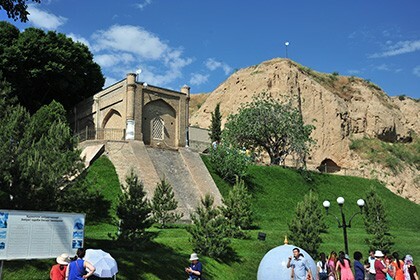 Then there will be an opportunity to enjoy an unforgettable panoramic view of Almaty from the Kok-Tobe viewing platform. After a tour of Almata, a trip to the city to the Medeo gorge, where you can visit the huge dam protecting the city from floods and mudflows descending from the tops of the mountains of the western Tien Shan. From the top of the dam, at an altitude of 1733 meters above sea level, a beautiful view of the world's largest mountain skating rink - Medeo, is surrounded by the amazing mountains of the Trans-Ili Alatau. In the event of currency fluctuations or changes in local government taxes, as well as changes in the cost of fuel, air tickets, we reserve the right to change the cost. 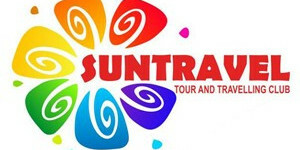 The firm reserves the right to change the time and sequence of excursions without changing the whole program of the tour.